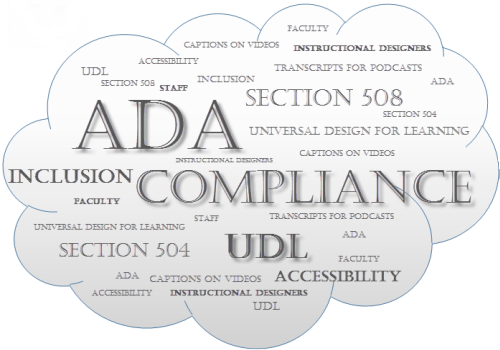 To develop online courses that are more inclusive, the role of Instructional Designers must move beyond the orchestration and arrangement of course content to partnering with faculty and support staff to implement curriculums that are mindful of ADA compliance. Furthermore, professional development must move beyond faculty acquiring technical expertise to pairing technological knowledge with principles of Universal Design for Learning (UDL). This article outlines ways that I, as an Instructional Designer, implemented such practices via a professional development seminar, in which faculty and staff learn the principles of Universal Design for Learning and develop skills to create ADA compliant MS Word documents, podcasts, and lecture captures. Excerpts from faculty and staff’s learning journals illustrate how they have grown as educators. In the seminar I teach, faculty and staff not only learn about structuring their online courses, but also learn about structuring their course documents to facilitate the use of a screen reader. They are given an unformatted document along with an interactive tutorial I developed. As participants work through the tutorial, they are formatting the document. Faculty learn that in order to develop an accessible Microsoft Word document they should use headings to organize it, not various font sizes. Headings are found in the styles gallery. Heading 1 (H1) would be used for the title, and H2 would be used for subheadings to H1. Subheadings to H2 would be H3 (Coombs, 2010). This is a repeating pattern as deeper sub levels of headings are used. Faculty are also taught to use the paragraph ribbon for additional document formatting, such as creating bulleted and numbered lists. Additionally, they learn how to use descriptive links instead of the words “Click Here”, for a screen reader will extract the links on a page and alphabetize them. If everything says “Click Here”, this does not facilitate navigational ease for a visually impaired computer user; the screen reader user would have to click on each link in order to know where the link will take him or her. However, descriptive links tell the user the intended website, i.e., eLearning Industry vs. Click Here, and give the screen reader user the option to go to the intended website or not. Once faculty have completed formatting things, the tutorial gives instruction on using the built in Microsoft Word accessibility checker. The checker will inform them of anything that needs to be fixed in order to increase the accessibility of their documents. For example, if an image does not have alternative text, the accessibility checker will indicate this as an issue. The accessibility checker can also be used to create accessible PowerPoint presentations. However, one drawback is that the accessibility checker is only a part of Microsoft Office for Windows, not Mac. I certainly benefitted from examining how a course should be presented so that it is ADA accessible, which is something I did not pay much attention to previously. I have a new respect and understanding for the need to make courses ADA compliant as well as for the amount of work and effort involved in doing this. The necessity of making an entire course accessible became apparent with the introduction to ADA Compliance and the assignments that focused on this very important feature. The lecture-capture assignment, although the most difficult in the course, allowed me to put theory into action. ADA compliance training must move beyond theory to actual hands-on practice. Accessible podcasts are those that include transcripts. The skills faculty learned for putting together an accessible Microsoft Word document can also be used when putting together transcripts for podcasts. The link to the transcript should be descriptive and the web page or document containing the transcript should be structured as outlined above. This universal design for learning concept benefits various learners. A podcast and its accompanying transcript facilitate the learning of students whose preferences are auditory and visual. For example, a course that is heavily text-based can become a barrier for students who are dyslexic. Podcasts can remove this barrier. Also, students can use the margins of the printed transcript for note taking and can highlight information deemed important (Coombs, 2010). Furthermore, second language learners can use the transcript in conjunction with the podcast as an additional means to acquire a new language--practicing listening, reading, and speaking skills; captions on videos can serve a similar purpose, as well as accommodate those who are hearing impaired. In the seminar, attendees learn UDL concepts and learn to create captions for short lecture captures using Camtasia Studio. For longer works, a captioning company is used. Having a variety of presentation methods makes it more likely that students will find one that best fits their style of learning. I know I personally tend to assume that my personal learning style is the one most people favor, but in reality I am learning that it is not, and I need be aware of my personal bias. In my experience, many faculty and staff are not aware of ADA compliance until they have been exposed to it, and as illustrated in the journal excerpt, unless exposed to principles of Universal Design for Learning, personal biases can influence how instruction is orchestrated. For the educator, it is no longer enough just to master one's discipline. ADA Compliance and Universal Design for Learning must be in everyone's instructional toolbox. Instructional developers are to guide faculty in implementing these concepts. Coombs, N. (2010). Making online teaching accessible: Inclusive course design for students with disabilities.  San Francisco, CA: Jossey-Bass.